Anyway I did this recipe once last December and the family love it. I bought 5 big juicy chicken leg from the wet market for just 3 of us and DinoPapa ate 2 of it. 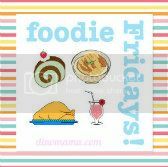 De-li-cious~ I tell you~ So I decided to do it again but since it was so last minute I only have time to run to Cold Storage after work to try to grab the ingredients. I was disappointed that they do not have the whole chicken leg, instead they sell the thigh and the drumsticks separately, well I have to make do with them so I bought a packet each home. The next day I prepared the chicken for marination; took me quiet some back breaking time to slice the basil leaves thinly and minced the garlic. My fridge is so full of things (can you believe that!) that there is no way I can put a bowl in it, what do I do? I just throw them into a zip lock bag and stuffed it into one corner! That night, I brought it out from the fridge, laid them in a baking tin and 35mins later we have grilled chicken as dinner, accompanied by a a can of heated up mushroom soup. Satisfaction is the word, satisfaction to the max! As I mentioned earlier in this post, I have done this recipe before so you can refer here to see my 1st try making this dish and seeing the semi failed product. I've included the recipe again in this post in a printable version. I hope to see some of you try out this and let me know if you like it or not. 1. Rub salt on the chicken thigh, leave for 5mins. 2. Mix the basil leaves, minced garlic & butter and stuff them in between the meat and skin. 3. 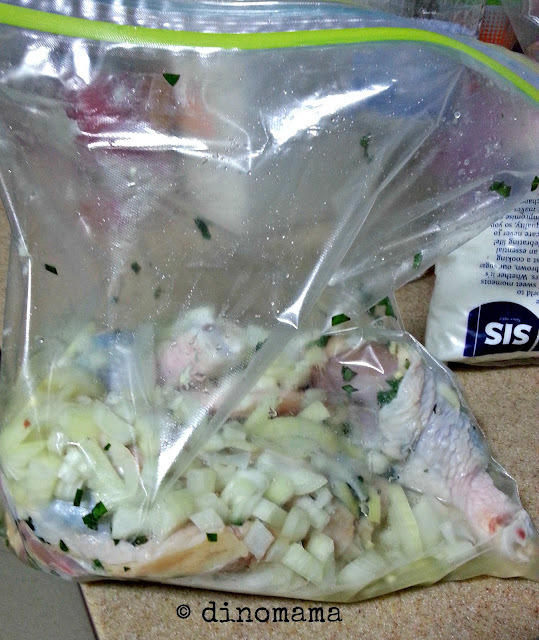 Pour the lemon juice on top of the chicken thigh, add in the diced onions, set aside to marinate for an hour. 4. Pre-heat your oven to 220Deg. 5. Brush some butter onto the chicken thigh. 6. Put the sliced lemon and some onions onto a baking tray. 7. Grill the chicken thigh for 35 - 40 mins. 8. At the last 8 mins, brush some honey onto the chicken thigh. 9. Continue to grill but have to monitor the chicken thigh to prevent it from charring. The chicken thigh is ready when the chicken skin turns golden brown. Ooohhh this one is something I want to try! 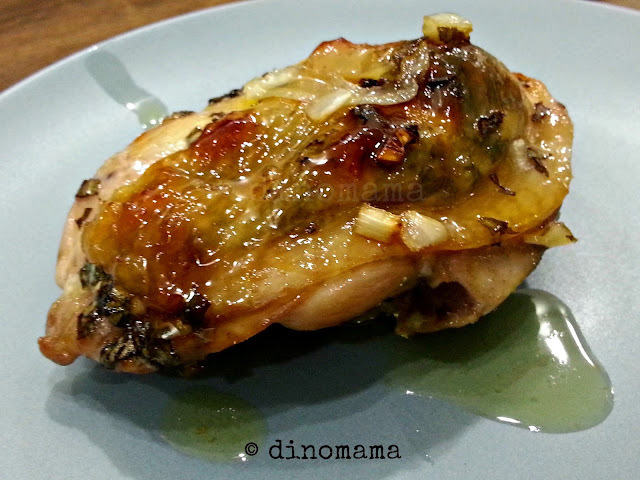 I still haven't tried pairing chicken with honey and basil. Looks interesting. Jenn, the honey turns the skin golden brown and makes the skin tastier. Delicious! You really have to prepare that recipe more often. Can't wait to try it!